Saturday, April 13th @ 10am - Like-New & New! Featuring Hobart P660 Mixer, Hobart 30qt Mixers, Woodstone Pizza Oven, Hobart High Temp Dishwashers, Nuvu Combo Convection Oven and Proofer, Curtis Walk-In Cooler, Orange Juice Vending Machines, Blast Freezers, Beverage-Air Back Bar Coolers, Metro Insulated Hot Holding Cabinets, Kelvinator Chest Freezers, Lang Combi Oven, Hoshizaki and Ice-O-Matic Ice Machine, Belshaw Donut Fryer, Randell & True Refrigeration, Captive Aire Makeup Air Unit and Rooftop Fan, Alt-Shaam Cook and Hold Ovens and Holding Cabinets, Coffee Grinders, Bunn Brewers and Hot Water Towers, Commercial CSA Stainless Sinks, Tables, Wall Shelves High End Induction Ranges, Brand-New Winco, Cambro, Vollrath, Omcan, Update Appliances and Commercial Smallwares & Much More! 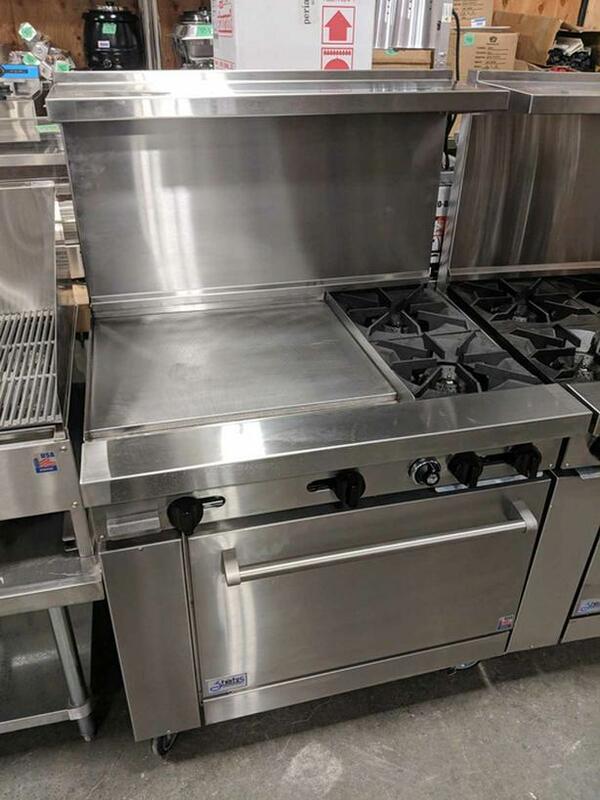 Sunday, April 14th @ 10am - New Commercial Appliances, Electric Countertop Griddles, Tandoor Oven, New Smallwares, High End Chef Clothing, Huge Volume Arcoroc International Glassware, High-End Restaurant Smallwares, Stainless Tables with Overshelves, Glass Door Back Bars, HUGE Volume Ingredient Bins and Stainless Steel Inserts!